← Why Is the Honey in Those Jars Different Colors? 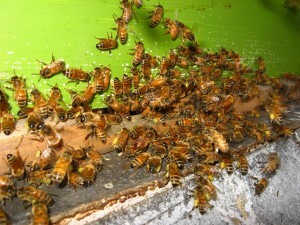 Bees Are Collecting Pollen & Spring Is Coming! 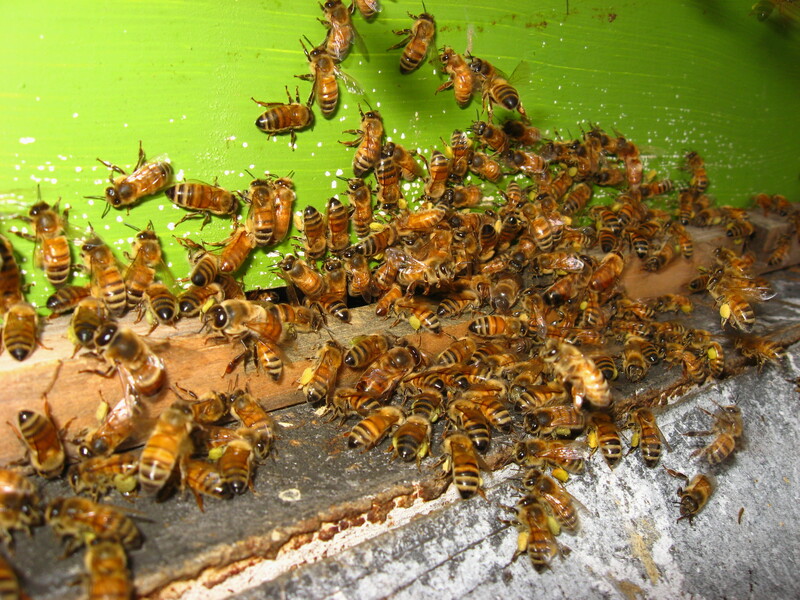 Posted on February 25, 2013 | Comments Off on Bees Are Collecting Pollen & Spring Is Coming! Daffodils, tulips, and hyacinths – the big, colorful blossoms that we associate with spring – may not have made their annual appearance yet, but spring is gradually moving north. 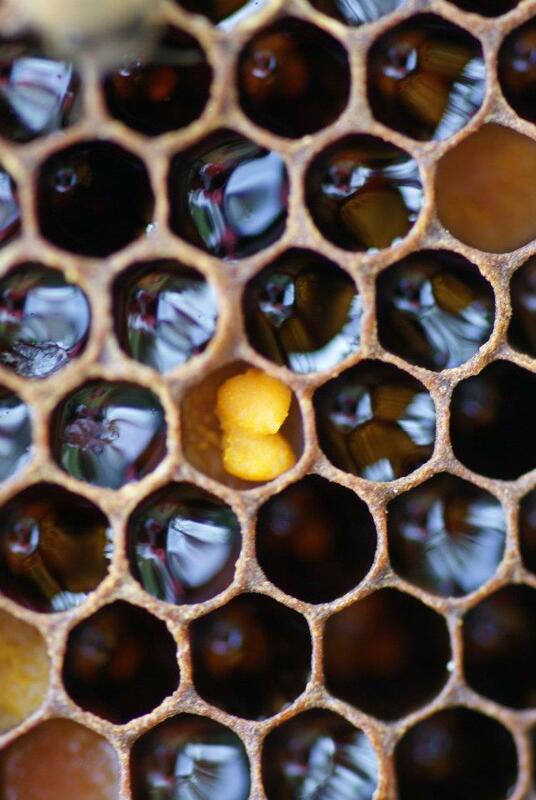 Beekeepers know it because their bees are carrying more and more pollen back to the hives. This activity has been going on for some time further south, and is now reaching Tennessee and Kentucky. Though not the first photos I’ve received of pollen laden bees this year, the two I’m sharing with you here are particularly nice. They were sent to me by my Tennessee friend Fred Sloop. Lots of pollen collection not only signifies blooming in the bees’ foraging range, but also means that brood rearing is underway in earnest in the hives. Pollen consumption is integral to the rearing of new bees and, in the process, stimulates the bees to collect more pollen, which in turn ….. Hence the frenzied activity we are beginning to see. But wait, even more remarkable things happen after the pollen is on the honey bee’s body. NPR left out the most interesting parts. 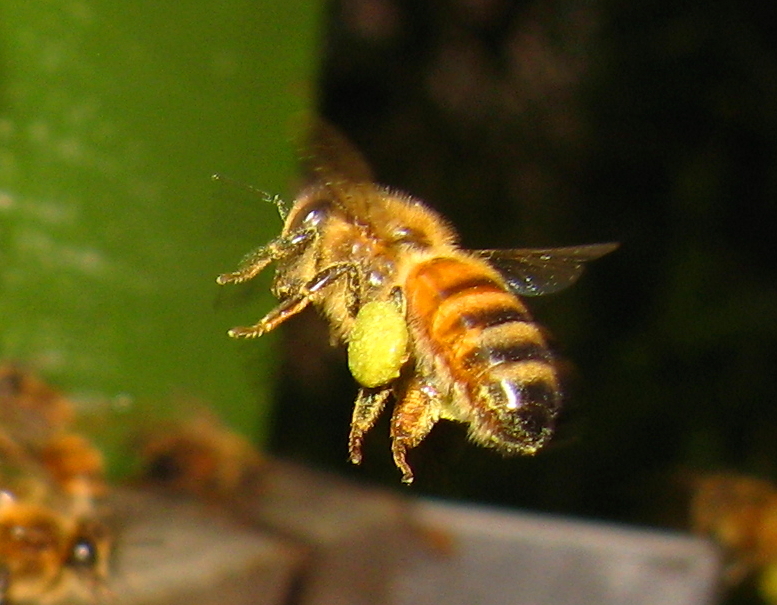 The bee uses her forelegs, which have hairs that she uses like a comb, to brush pollen from her head and abdomen and move it to her rear legs. As she manipulates it, she moistens it with a small amount of honey from her honey stomach. 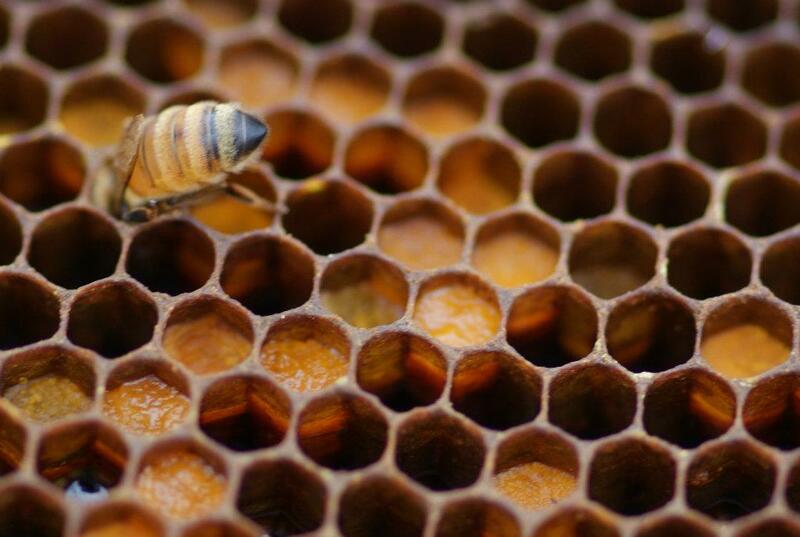 The honey bees’ rear legs contain a most wonderfully adapted structure called the “pollen press”, made up of stiff hairs used to press collected pollen into the pellets we see bees carrying into the hive. The load is balanced by packing the pellets on each leg to approximately the same size. 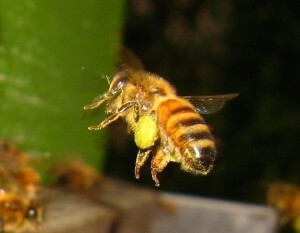 Back in the hive, the pellets of pollen are removed from the rear legs by the middle legs, and dropped into an empty cell. The pellets are then compressed into the cells by other bees. A long time ago, I noticed on some of my frames bees which appeared to have makeup on their heads, and wondered what was going on …. One day I realized -these were the pollen packing bees! This entry was posted in Honey bee behavior, Honey bee biology. Bookmark the permalink.